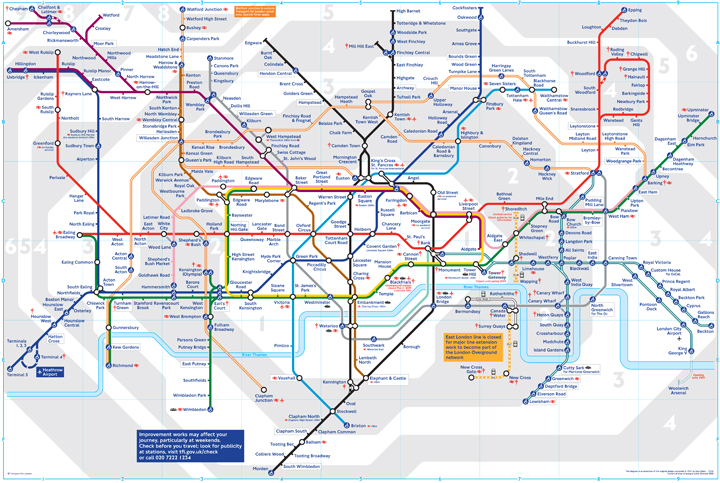 Above: Detail of the contemporary map, available free via Transport for London. Noted on the incomparable Information Aesthetics, watch this detailed BBC documentary available via GUBA here. Much, much more on IA, below a screenshot from an emoticon short story by poet Rives, presented during his TED lecture. Previous: Geographic and geotypographic change. This entry was posted by Erik Brandt on Sunday, November 9th, 2008 at 10:59 AM	and is filed under Aktuell, Art, Education, Free Radicals, Globalization, Graphic Design, International, News Links, Typografika, Typography, Video.